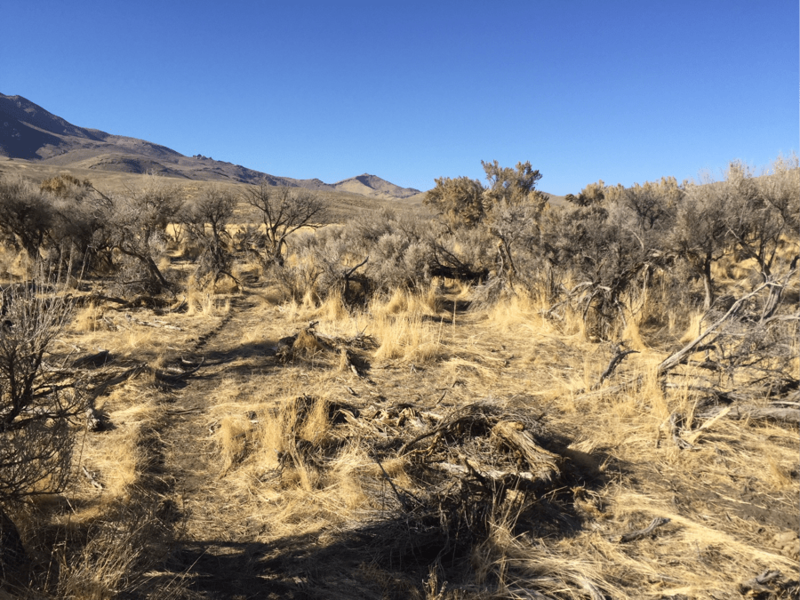 After being ordered in spring 2017 by an Interior Administrative Law Judge to allow WildLands Defense access to Argenta monitoring, WLD observed the biased manner in which PFC (riparian condition) monitoring was being conducted in Argenta allotment . Numerous springs and streams were being treated as sacrifice areas to the livestock industry, and their conditions ignored. Here is an example of one site in the Indian Creek that the PFC group visited but decided not to monitor, claiming it was too small. 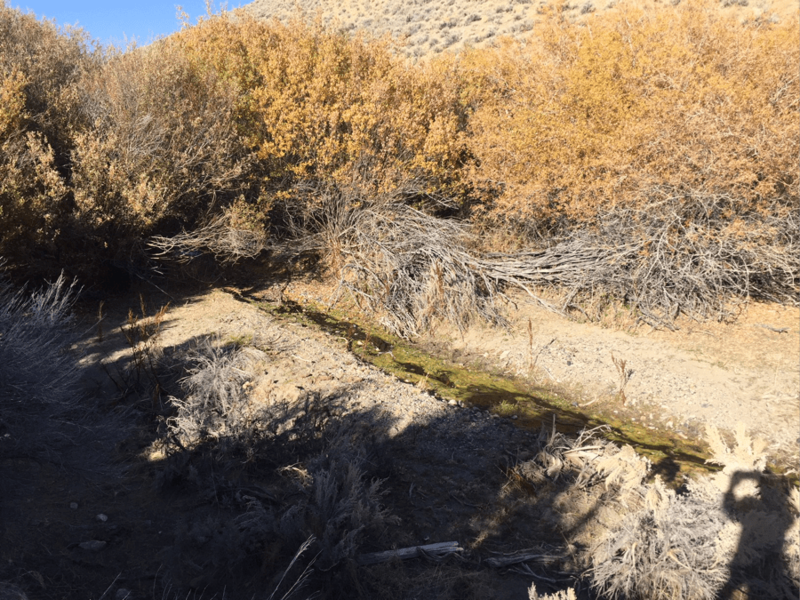 Areas were excluded for all manner of reasons – springs were too small, stream segments on BLM land less than ¼ mile were rejected (sometimes), or areas altered by old mining. 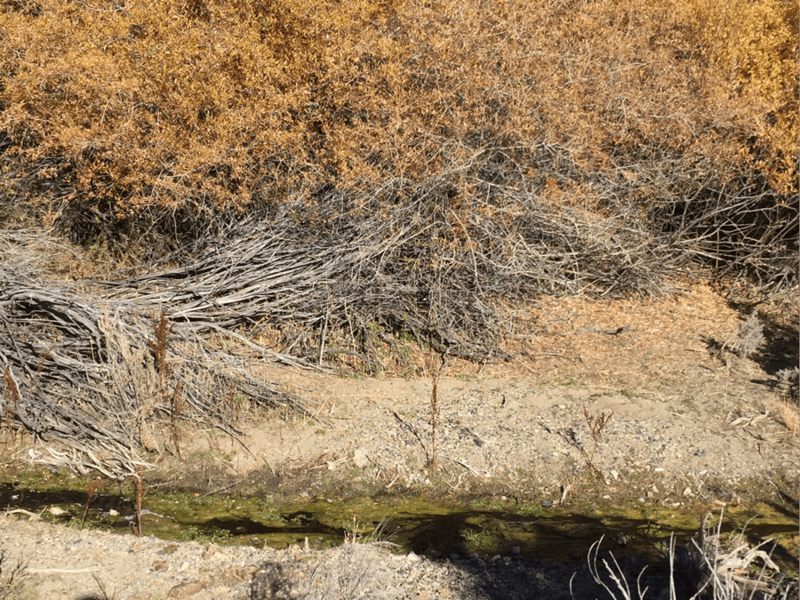 A clump of remnant older willows has managed to persist, but the abusive grazing is causing the water table to keep dropping. Water is choked with algae. 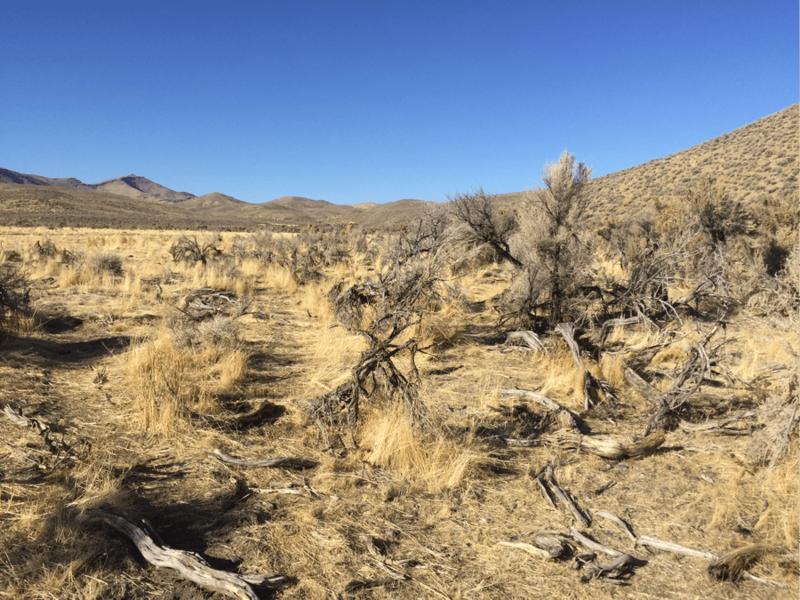 Uplands are infested with dense cheatgrass mats, and the sage is broken, battered and being destroyed by cattle.